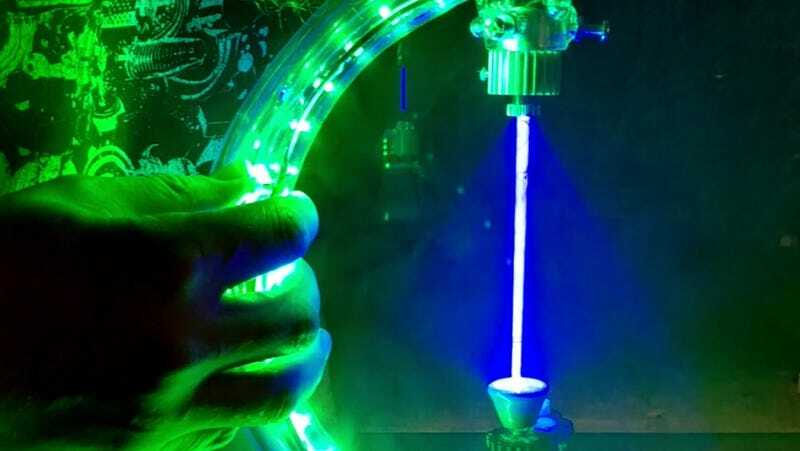 On Friday, Motherboard reported on the bong it called “so advanced that it will probably take NASA scientists decades before they’re able to replicate it.” The device—which I’m told is used to smoke weed—is made by San Francisco-based startup Silicon Cali, which describes the B-LAZE LaserBong as its “flagship product.” The bong uses a “2W, 445Nm frequency laser” to burn weed and reportedly requires special protective eyewear during use. This is about 400 times more powerful than the average laser pointer, which has an output of about five milliwatts. Silicon Cali even sells special glasses that are meant to protect your eyes while looking directly at the laser when you take a hit. Zelaya said that the bong’s market varies from “Bitcoin core developer” to “mad scientist, like myself.” So that Rick and Morty theme music makes more sense in this context. The bong is one of 45 of its kind, according to Silicon Cali’s site. Again, it’s $2,400—but also lasers.